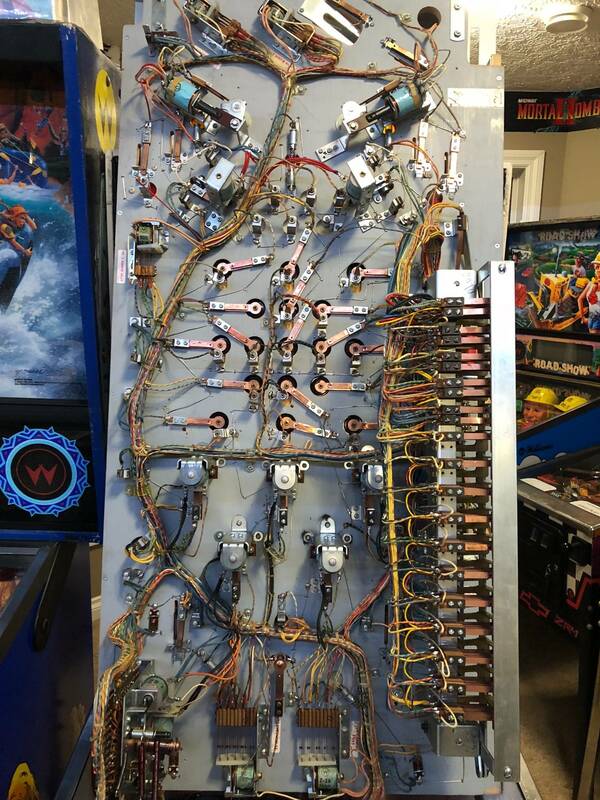 » Forum » All Pinball » This is what a 3 owner never routed 66’ Williams Hot Line EM looks like! 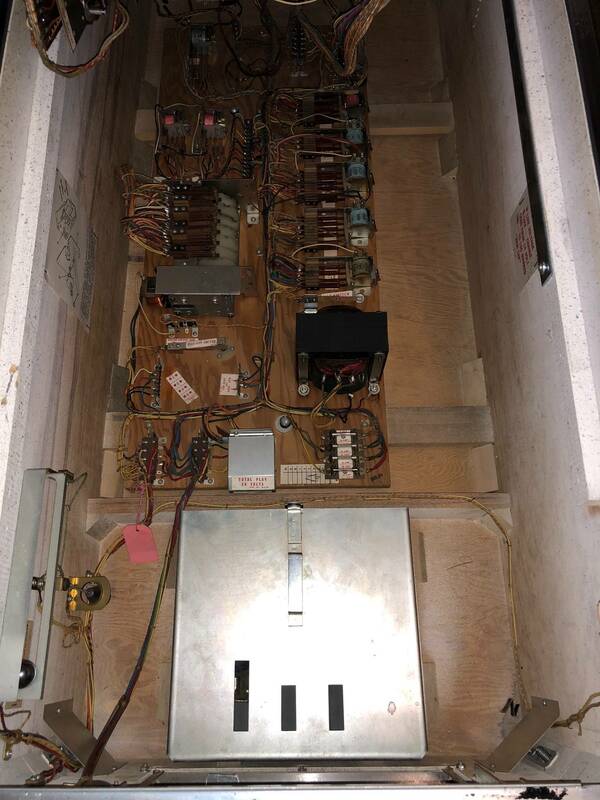 » This is what a 3 owner never routed 66’ Williams Hot Line EM looks like! This is what a 3 owner never routed 66’ Williams Hot Line EM looks like! 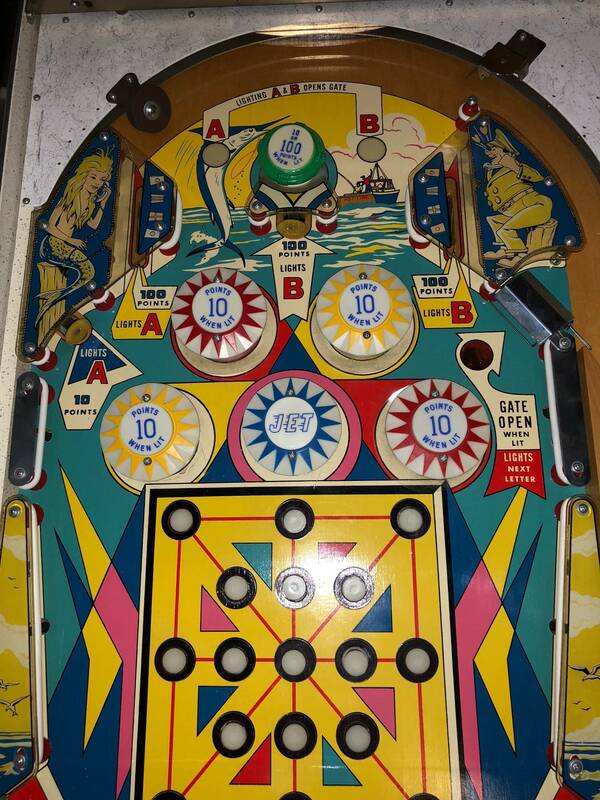 This machine is in unreal condition for being 52 years old, so I felt I had to share it with the community. 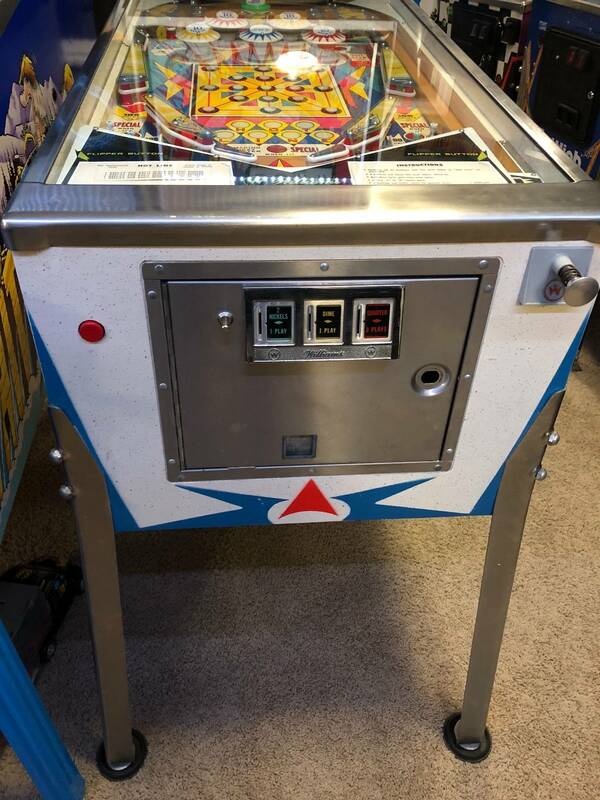 Backstory: Back in 2012 or so, a few years after I got into the hobby, my wife’s uncle asked me to find him an inexpensive pinball machine to put in his basement. After keeping my eyes out but never finding anything too affordable for him an old EM finally popped up for sale in 2014, so I sent him over to buy it asap. 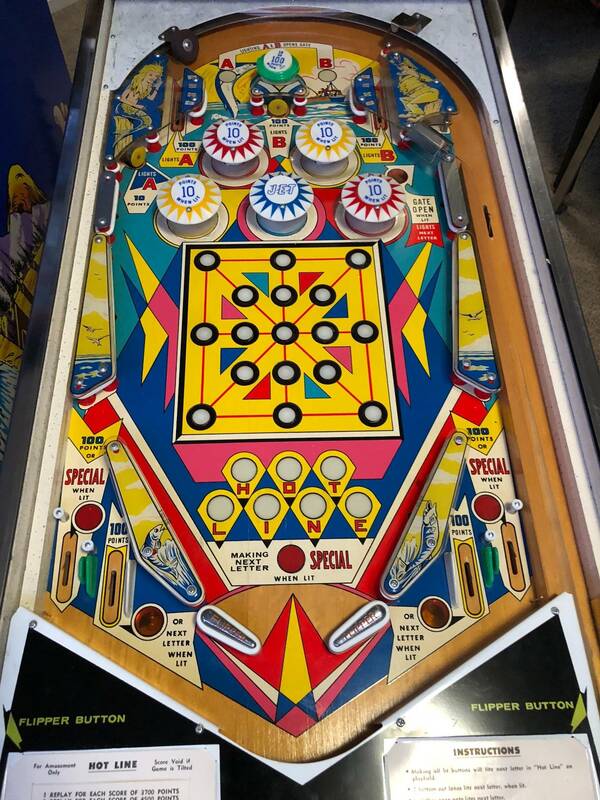 He went and picked it up and said it was in fantastic condition, and had never seen an arcade according to the seller. The guy had bought it new for his kids back in the day! And it eventually ended up at the guys workplace. 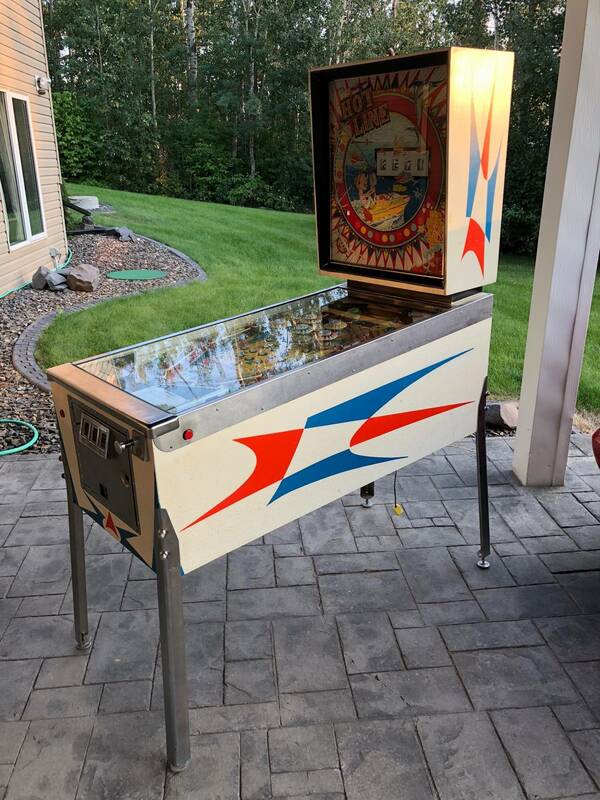 So my uncle loaded it up and took it home, then after tinkering with a couple things he was “playing pinball” and was pretty stoked about it! And I was happy to have found him a nice machine. After about a month or two he was hooked! He went and found a couple games that were more his era, a Solar Fire and a Big Game (THE game he played as a teenager!). So today was the day I finally went over to check it out, and HAD to bring it home! It’s unreal how clean this thing is! I even felt good paying him over 3 times what he paid for it. Enjoy the pictures! And I haven’t even wiped the dust of anything yet, or even turned it on. I was just excited to share the story. 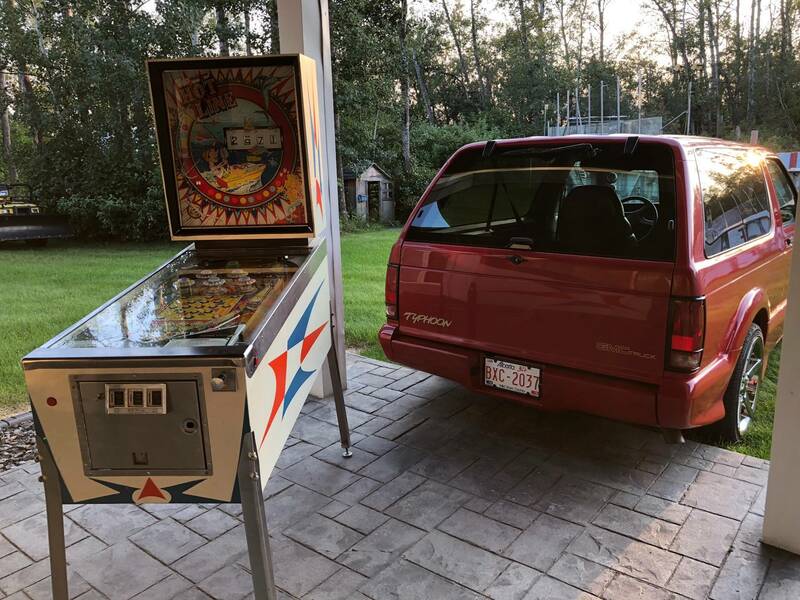 On a side note, I’ve owned the GMC Typhoon in the pics for 15 years and somehow this is the first pinball machine I’ve ever hauled in it! And I haven’t even wiped the dust of anything yet, or even turned it on. I assume your uncle cleaned it though? Is that an ice hockey rink in your back yard? What a time capsule. That looks cherry. I'll bet that Typhoon is nice too. Don't see many around anymore,or Syclones. what's the Total play meter read ? 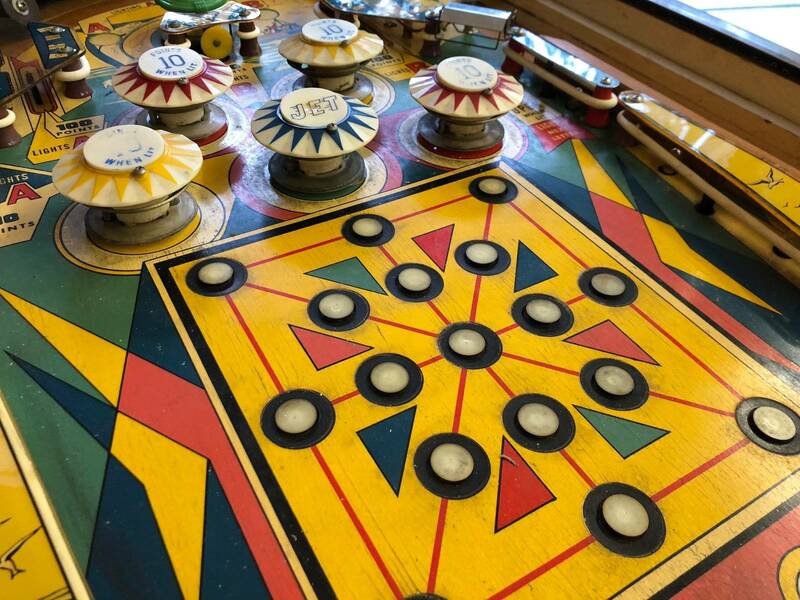 Looks just like the one I played at Lakeman's Market back in 1968 when I was 6! First game I played I actually remember what it was. I'll never forget the fishing guy or that cluster of rollover buttons. 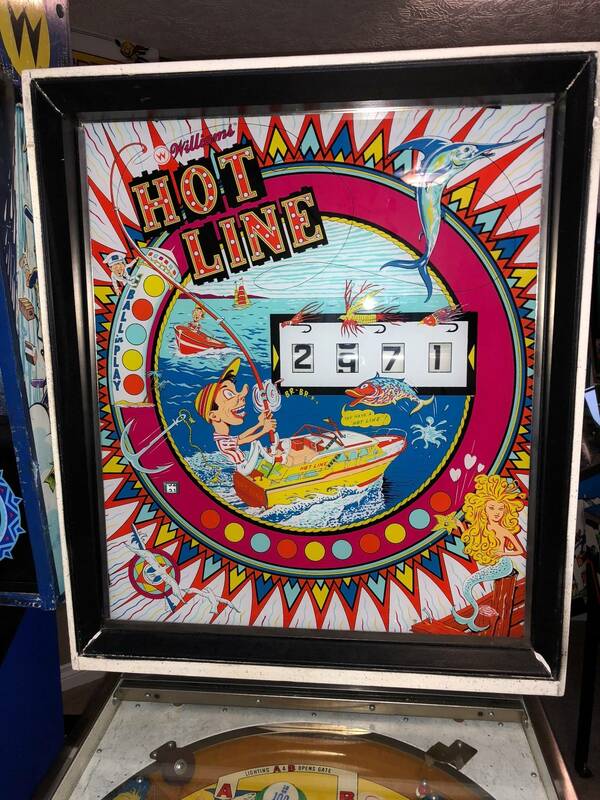 Miss my Hot Line. If mine would have looked that nice it would have never left. Yes it is....you should see his game room pics. Backyard rinks are pretty common everywhere in Canada it gets cold, cities like Edmonton they are everywhere. Damn, that is a top tier rink I'm not a fan of the Oilers but can't fault the guy for his taste in Jerseys. Thank you. Yes he did back in 2014. Thank you. Yes it is super clean, with a built motor and bigger turbo! That’s the confusing part, it’s higher than I would have guessed. It reads 24,760. Thanks dude. That’s pretty cool. I’m with ya, I’m thinking it’ll be hard to ever decide to let this one go. 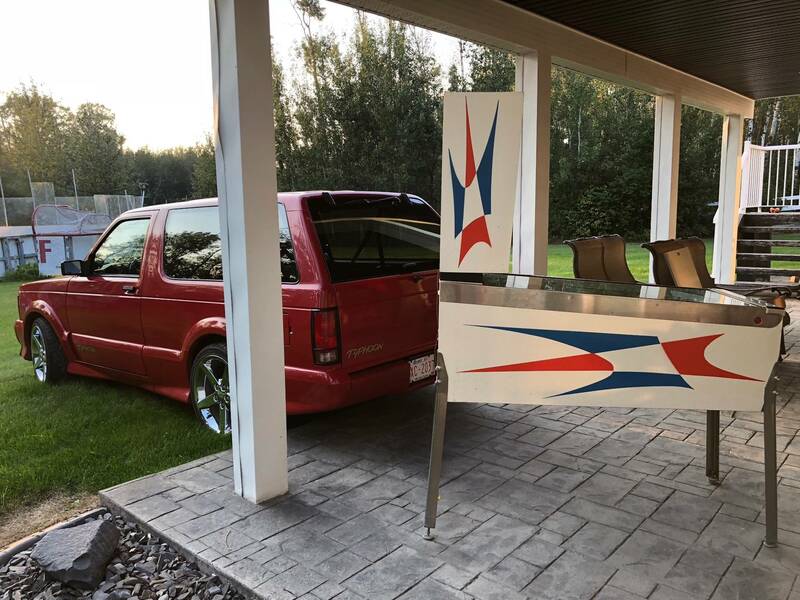 A friend hooked me up with a set of real rink boards and glass, we love it! For some perspective ... here's mine as it sits today. Just shows how mint your example really is. Wow, and your pf isn’t really even that bad. Somethings off on that cabinet paint color - you sure its original?? 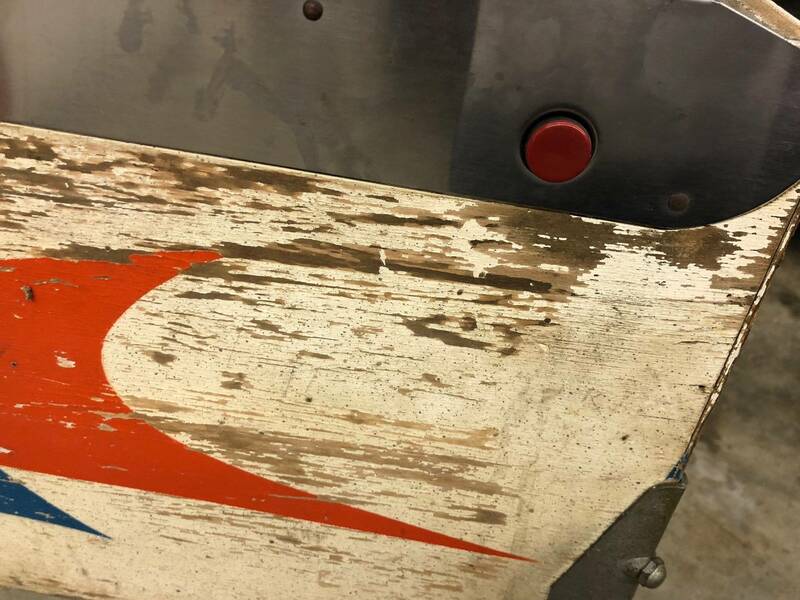 All Williams pins from the mid-60's I've seen have the standard "nicotine-stain-rat-vomit-off-white" paint color. 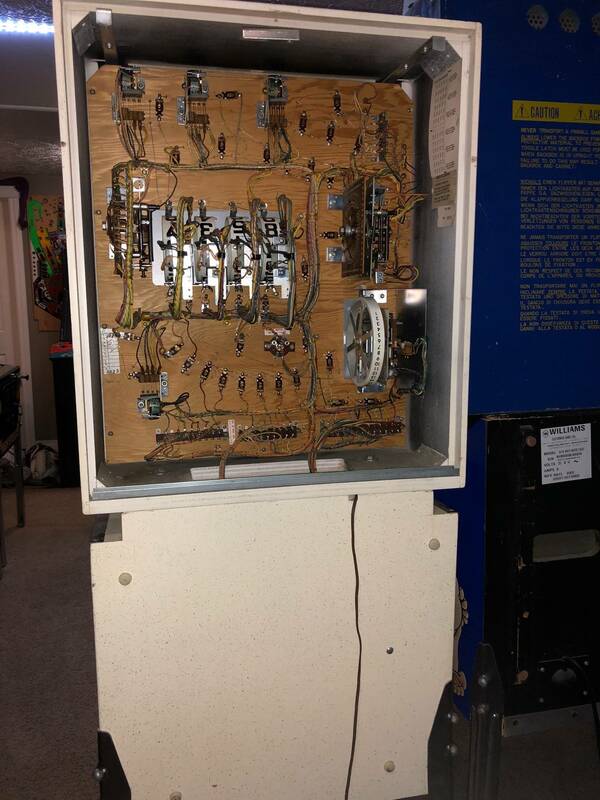 Thanks for sharing - that is a pristine example of what they looked like back in the day! Love the absence of worn ball trails at the top arch and bottom drain. And the bumper caps and plastics and everything look so minty new! Almost orgasmic for an old EM guy. 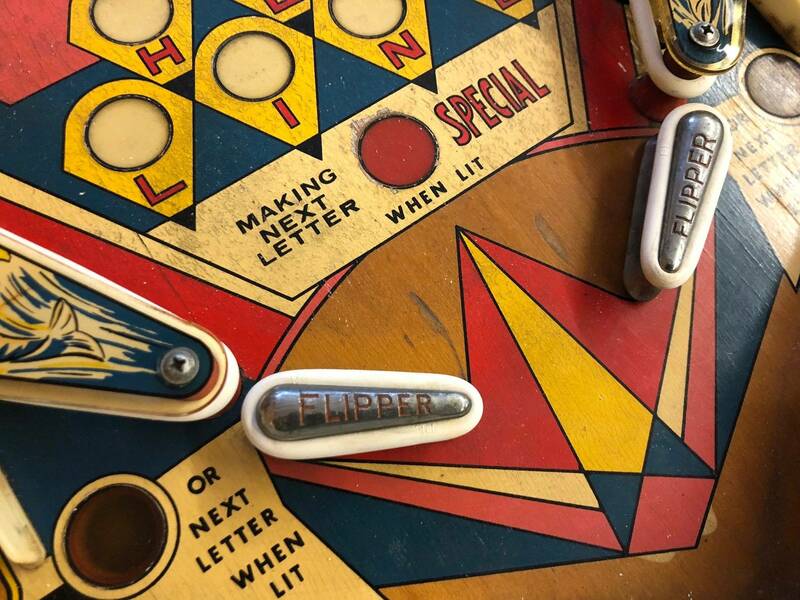 If that really has 24k plays on it proves they knew how to clearcoat a playfield back then - compared to what we see on the new pins after a few thousand (or hundred) plays. I agree. And thank you! Haha, thanks for noticing. It’s my baby, I bought it with 39k out of NJ 15 years ago. That made me smile, haha. I just figured out last night that the the 24k plays is incorrect. 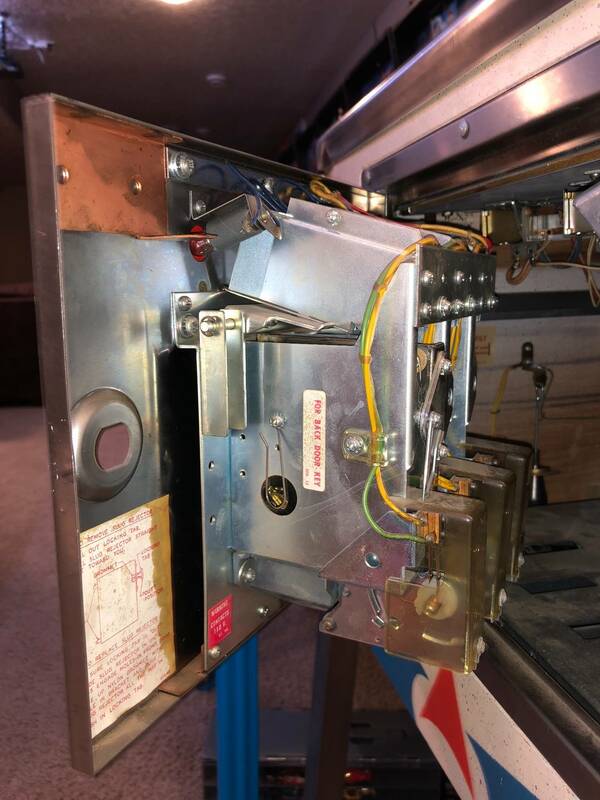 I turned it on for the first time and the 100 digit reel seemed stuck and kept making a very loud solenoid reset slam noise, which was coming from under the pf, while increasing the play counter with every slam... I only had a few minutes to look at it and didn’t solve it yet. Weird.... when I edit my post it creates a new post. When you can see the how clean the switches are, you know it is the real deal. I will for sure. 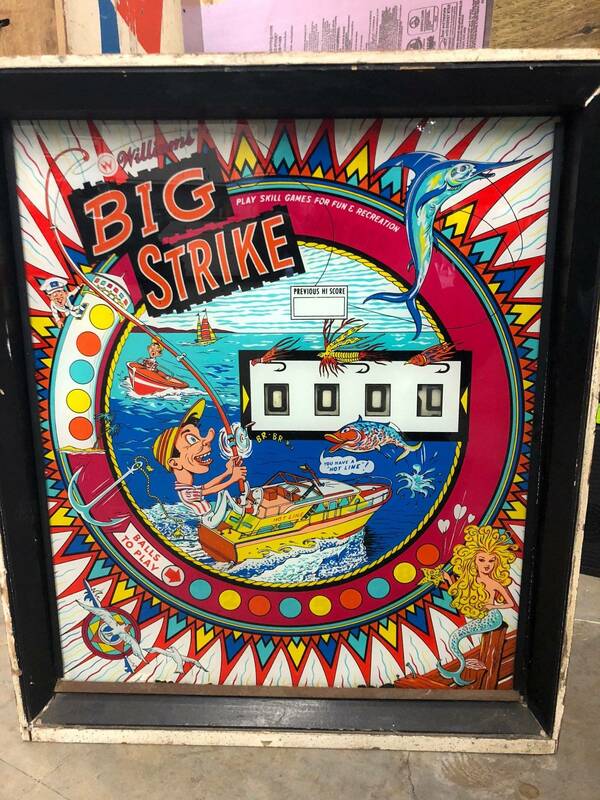 I already added a few on the Pinside game page.